Forget gluten free lemon drizzle cake – I’m taking things up a notch. Because why just settle for lemons when you could have a three-citrus drizzle cake? Lemon, lime and orange complement each other perfectly, so it seems silly to settle for just one. 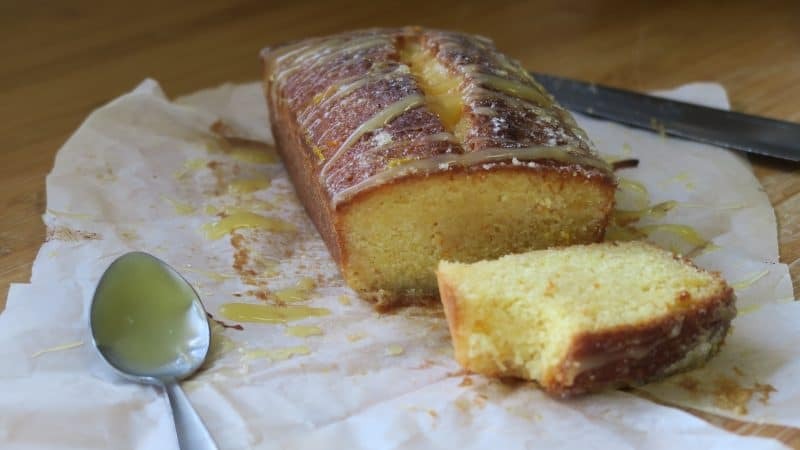 Of course, you could easily adapt my citrus drizzle cake recipe to make it a solely lime, orange or lemon drizzle cake, but quite frankly, I love it just the way it is. And you know what? This is possibly the easiest gluten free cake recipe ever. No faffing with making buttercream icing. No fancy-pants toppings. (If that’s your jam, check out my gluten free lemon and elderflower cake!) Just chuck everything, mix it up, bake, then pour over the two-ingredient drizzle. Cool, et voila, your gluten free citrus drizzle cake is ready to devour! I think this is the perfect cake for a gluten free afternoon tea. It’s sweet and tangy, so it’s not going to be overwhelmingly sickly. And tea with lemon cake is just a heavenly combination. If you can resist eating the whole thing straight away, you can also save it for several days in an air-tight container. The drizzle keeps this cake really moist so it won’t dry out. I used unsalted butter in this recipe because I prefer it and I can tolerate dairy. However, I know a lot of my readers are also dairy free, and you could easily substitute this for a dairy free spread instead. 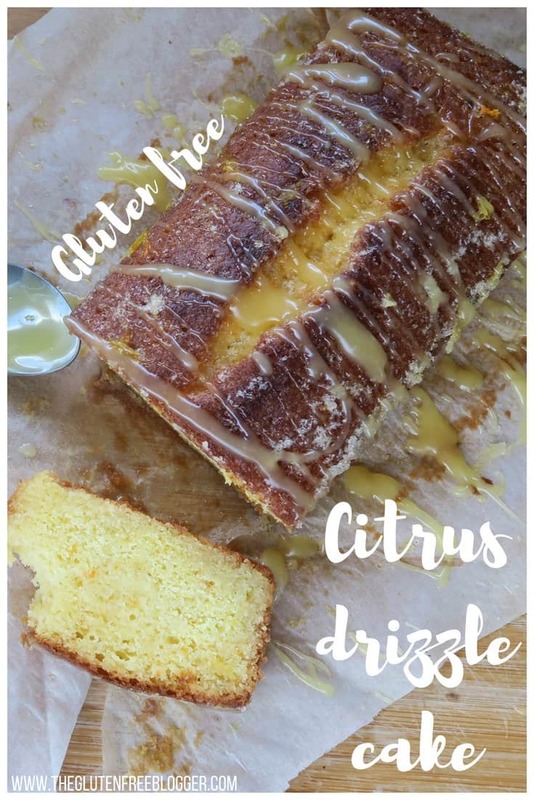 That way this citrus drizzle cake can be enjoyed by everyone! 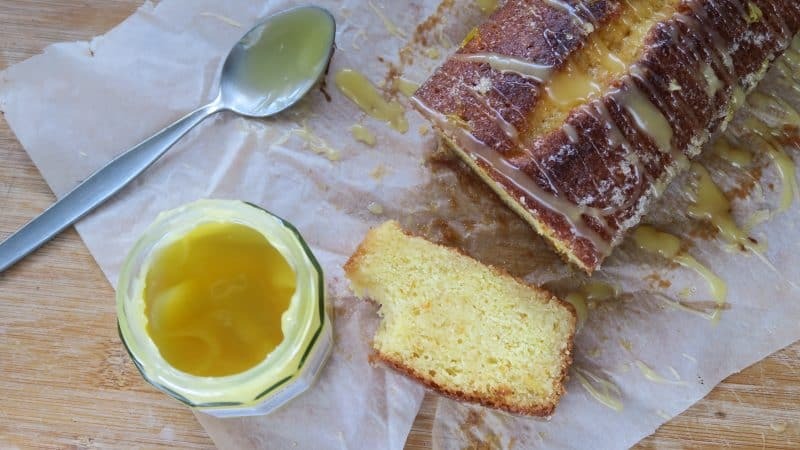 This gluten free citrus drizzle cake really is super simple to make. Just follow the recipe below (I made this handy video to outline the process too!) and enjoy. It would be perfect for this summer sunshine which seems to have appeared this week. 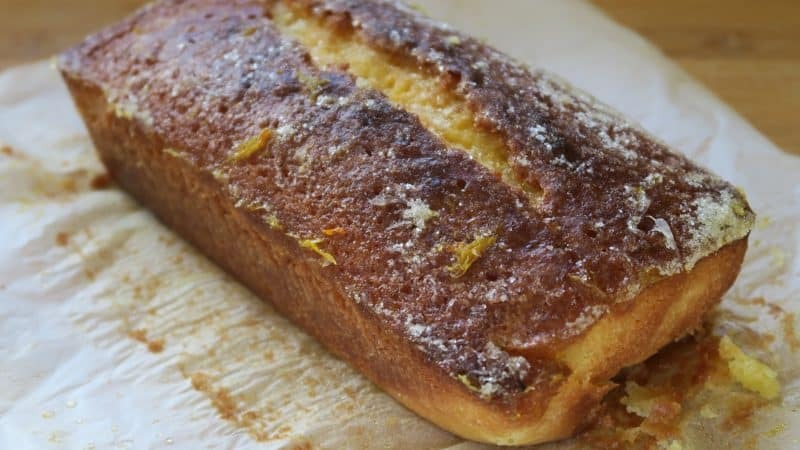 This gluten free citrus drizzle cake is made with lemon, lime and orange for a delicious zesty flavour, perfect for afternoon tea. Preheat the oven to 180'C / Gas 4. Grease and line a loaf tin. Add the butter and sugar to a large mixing bowl and beat until smooth. Next add the eggs and the flour and mix well. Once mixed, add the zest and mix together. Pour the batter into the lined cake tin and bake in the centre of the oven for around 35-40 minutes, until golden on top and a knife comes out of the centre clean. Mix the orange, lemon and lime juice with the granulated sugar to make the drizzle. Place the cake on a wire rack, still in the tin. While still hot (and still in the tin) use a skewer to make lots of holes in the top. Pour over the drizzle gradually - I like to pour a little over, let it soak, then keep going until you've used it all up. Allow to cool completely before turning out of the tin. Decorate with some more zest for a colourful finish if you like! There you have it, my super easy gluten free citrus drizzle cake! I’d love to see your creations if you give this a go – you can share them in my Facebook group or tag me on Instagram! I’ll always share your photos when you make my recipes! And if you want some other gluten free cakes to whip up, why not check out my…. This went down well with all my family! I think the fruit I had must have been extra juicy as I got a large cereal bowls worth of juice out of them which was a bit much. I mixed it all with 100g sugar and probably only used 1/3rd of the liquid before I was concerned the cake was going to end up soggy, I then mixed more sugar in and reduced the remaining liquid for a glaze 🙂 it was a great cake, will make again!